Ch 120. Being careful not to twist the ch, join with a sl st to form a long loop. R1: Ch 1, sc in ea st around. R2: Ch 4, make 8 trc in same st as joining. *Work 9-tr-tog over nxt 9 sts. Make 9 trc in nxt st.* Repeat * to * aroud until last st.
Work 9-tr-tog over nxt 9 sts. Join to first shell with sl st.
R3: Ch 1, sc IN BACK LOOP of ea st around. (9 sc for ea 9-tr shell, 1 sc over 9-tr decrease). Join with sl st to first sc. R4: Repeat Rows 2 and 3 to length desired. 9-tr-tog - 9 trebles together: YO twice, insert hook into first st and draw up a loop. YO, pull yarn through first two loops, YO pul yarn through next two loops. LEAVE LAST 2 LOOPS UNFORNISHED. *YO twice again, inser hook into the next st and draw up a loop. YO, pull yarn through first two loops, YO, pull yarn through next two loops. LEAVE LAST 3 LOOPS ON HOOK ALONE. Repeat steps from * until you have 10 loops on your hook. YO, pull yarn through all 10 loops.. I do not have my patterns tested by other crocheters before I publish them. 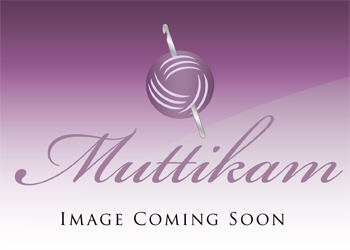 Feel free to contact me with any and all pattern-support questions at the following email: art@muttikam.com.